Toluca Lake Truck Accident Injury Lawyer: Lawyers You Can Trust! Personal Injury Lawyers - Over 40 Years of Experience & Success in Truck Accident Injury and Wrongful Death Claims! If you are a victim of a truck, car, bicycle or any other accident in Toluca Lake or need assistance with a personal injury claim or wrongful death claim in Toluca Lake, Los Angeles or anywhere else in California, you should contact our experienced truck accident injury attorneys and legal team now for a completely FREE CONSULTATION. With dynamic and compassionate legal representation, for your truck accident personal injury case in Toluca Lake, Los Angeles, our experienced and aggressive personal injury lawyers will make sure that you get your rightful compensation for the losses or damages suffered. 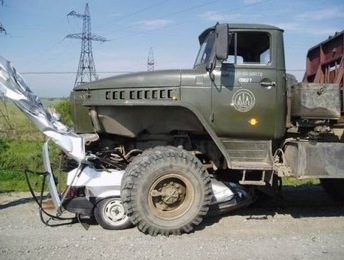 There are so many time rules and procedures when one is involved in a truck collision, from timely reporting the accident to the appropriate police, insurance companies and DMV, it is wise to first seek the assistance of experienced truck accident personal injury lawyers and law offices to know what to do and also what NOT to do. Please visit our Truck Injury Accident Web Site to learn more about the truck accident injury claims process or please call us now for a FREE CASE EVALUATION about your specific truck accident. We have over 40 years experience in resolving thousands of truck accident, car accident, premises liability and other personal injury claims, not just in Toluca Lake, Los Angeles, but all around California including Burbank, Glendale, Pasadena, Studio City North Hollywood and more. 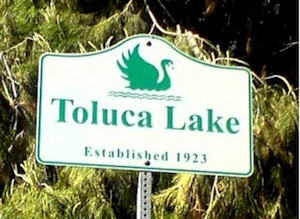 About Toluca Lake, Los Angeles, Calif.
Toluca Lake is bordered on the west by Studio City, Burbank on the east, on the south by Universal City and North Hollywood to the north. Toluca Lake in Los Angeles started out as a ranch but now is home to countless affluent personalities, many of whom work in the Hollywood entertainment industry. Besides a celebrated history including the infamous Bob Hope, famous residents of Toluca Lake, Los Angeles have included Gene Autry, Miley Cyrus, Andy Griffith and Denzel Washington. More than 40 years experience successfully resolving thousands of truck accident, car collisions, motorcycle accidents, dog bites and other personal injury cases in Toluca Lake, Los Angeles, Panorama City, Sun Valley, North Hills, Van Nuys, the San Fernando Valley, Ventura and all of California. Contact us if you or a loved one has been in a truck crash or suffered an injury in any car accident or other accident, and need to consult or are seeking legal services in a truck or car accident personal injury claim, wrong death claim or any other personal injury claim in Toluca Lake, Los Angeles or anywhere in California. We offer a wide range of services regarding personal injury law, including, but not limited to car, motorcycle, truck, bus, train, bicycle and pedestrian accidents, hit & run and uninsured motorist (UM) accidents, dog bite and other premises liability accidents. Free Consultation & Evaluation: No Fee Until You Win! To learn about how we can assist you further, and what you need to do to protect your rights and timely comply other procedural rules, please contact us now:. You can also email us at info@WalchLaw.com, or fill out our contact us form, to learn about your options. Call Us Now For A FREE CASE EVALUATION – REMEMBER WITH OUR TRUCK ACCIDENT, PERSONAL INJURY & WRONGFUL DEATH LAWYERS THERE IS NO CHARGE FOR THE CASE CONSULTATION AND WE WORK ON A COINTIGENCY FEE – WHICH MEANS THERE IS NO FEE OR CHARGE UNTIL YOU WIN!